We tested our new screens in Amazonia and the Brazillian rain forrest this year and they held up really well. Going back to the original op , it would be hard to secure a large side opening and this for us now would be a major consideration. I came across this design on an Australian U1700L38 build, I like the idea of the wall panel opening which also has window fixtures installed so can still function closed. The OKA has a bed-over-cab. Because the roof clearance is a bit limited, I put a pop top over just the bed that is hinged at the front and is held up by gas struts. The vinyl insert has large fly screen openings with zipped coverings on 3 sides. We sleep north-south with our feet at the front although it is possible to sleep the other way and it is possible to sleep with the pop top down.. If that was not enough, the whole of the vinyl insert could be unzipped, the pop top could stand almost vertical on the gas struts and it was then possible to sleep under the stars. In practice, we rarely used the feature and when I remade the vinyl insert, I abandoned it. I considered doing something wild like that when designing our camper, but abandoned it out of simplicity, and worries about leaks. I am still considering a redesign though, perhaps just the rear wall section opening up that way. It would definitely make eating at the table much more enjoyable, in good weather. Agree. The number of times that we could have a window/door open and NOT need a screen are few and far between. We also noticed the severe lack of windows in a lot of designs and tried to tip the scales in the other direction, by adding a ton of windows, despite the fact that it diminishes the climate control realities a bit. Agreed. Can't have too many windows. 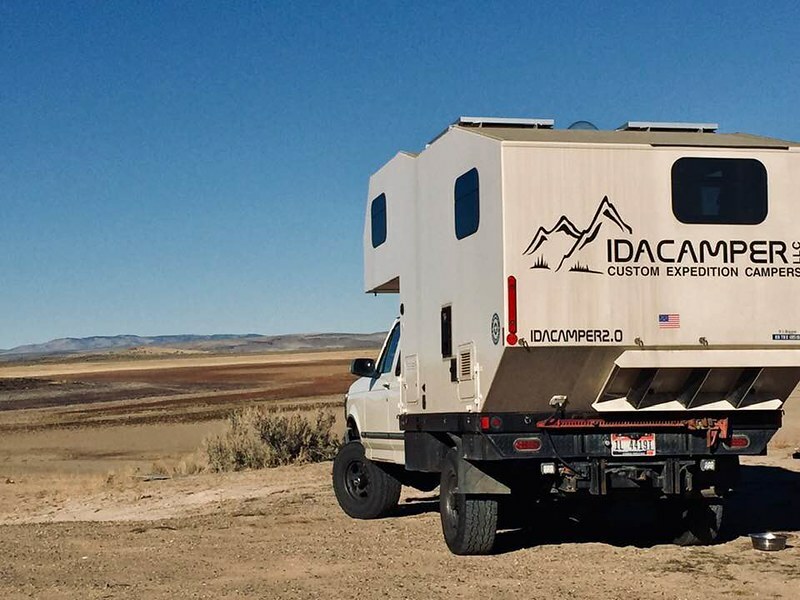 My wife and I are big into the sun/ light, and are planning expedition camper to tour in only cool to hot climates in central/ South American, but will have heat system to camp at higher altitudes. I grew up in Wisconsin and know what “cold” means. I think the large hatch/s with built in window looks very promising but comes at a price. ..Storage efficiency/ space is compromised. .. as for structural integrity from large cut-outs, don’t feel that it’s that hard to incorporate into even a severe 4x4 duty habitat using either wood or metal or fiberglass, I have no experience with composites but they look to be best suited to large cut-outs. I believe I saw an OKA in Harare, Zimbabwe in mid 90’s at demo, anybody know if that was possible? Yes, there is one that lives in Lusaka, Zambia, and maybe a couple of others in South Africa too. And I know of at least one other from Australia that was touring in Africa for a couple of years. Thank you all for your input! I love the openness of Greataussieadventure, however I have been forced to admit to myself that the down sides outweigh the benefits. I appreciate all of you sharing experiences. The basic idea of K.I.S.S., coupled with a need for storage and optimizing for cold and wet mean I may be opting for more windows, but no opening wall.